We all live in a community of potential disasters, be it fire, earthquakes, hailstorms, snow, or tornadoes—not to mention unexpected accidents such as fuel dumps or even acts of terrorism. In addition to large-scale emergencies that affect many people, each of us could face a variety of emergencies that require us to call 911. Each of us can minimize the impact of emergency situations by ensuring we have plans in place that allow us to act quickly and safely. For people with disabilities, whether living independently or in a supervised setting, these plans are even more critical. 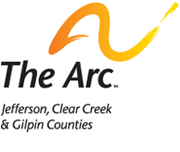 In an effort to help you improve your ability to respond to crisis situations, The Arc has compiled a short list of our favorite tools and resources related to safety and emergency preparedness. From Smart 911 to Crisis Intervention Teams, be sure to save this list and share it with your loved ones. Available to all 911 centers across the U.S., Smart911 allows citizens to proactively provide details on their family and their home that 911 operators may need in the event of an emergency. Your Safety Profile can contain everything from information on medical conditions, to the floor plan of your house, to the number and types of pets you have. This free service provided by Rave Mobile Safety and is funded by local municipalities, as it is a great asset to first responders, who can create an action plan en route to your home. Smart911 is endorsed by citizens, community groups and public safety officials. Just follow the simple steps to create your profile. Like Smart911, the File of Life is a tool that contains critical medical information to assist medics responding to an emergency at your home. The File of Life is a simple form stored in a red plastic sleeve with a magnet on it. Typically people will hang the File of Life on their refrigerator, although any visible, obvious location will work. You can also keep a copy of the File of Life in your purse or wallet in case of emergency while away from home. For more information or to request a File of Life, click here. With wildfires season rapidly approaching, it’s important to make sure emergency professionals are able to contact you. Law enforcement officials have used Reverse 911 calls to notify residents of fire danger and evacuation protocols, saving many lives. Since many people use cell phones exclusively in place of traditional land lines, cell phone users must take additional steps to ensure emergency workers can reach them. The Denver Channel has issued an article on how you can receive emergency alerts from your county. Jefferson County residents can register cell numbers online by completing a brief form. Clear Creek Residents can find their form here. Residents of Gilpin County should visit this site. For a comprehensive list of contacts for counties statewide, please visit Colorado’s Emergency Management Department online. Emergencies that lead people to contact the police are typically chaotic and often frightening. The confusion and unpredictability of emergency situations can be especially difficult for people with intellectual and developmental disabilities (I/DD). Recognizing the unique nature of these situations, all Denver Metro area police departments have teams of officers who receive special training in the unique concerns of citizens with mental health issues or intellectual and developmental disabilities (I/DD). If you need to contact 911 for any reason that involves a person with a I/DD, whether they are victims are bystanders, be sure to ask the dispatcher to send a Crisis Intervention Team (CIT) officer. You can also request a CIT officer in-person at the scene. Residents with medical conditions that may cause them to wander have additional help thanks to Colorado LifeTrak, a rapid-response program in which the Jefferson County Sheriff's Office is participating. The project is a partnership between law enforcement and the families of individuals with Down syndrome, autism, Alzheimer's disease and related disorders and conditions. Participants wear a personalized wristband that emits a tracking signal 24 hours a day, seven days a week, over several miles. When an individual is missing, caregivers notify the Jefferson County Sheriff's Office and a search and rescue team will respond to the call and use a mobile locator tracking system to find the missing person. You can find more information, including how to enroll, here. In partnership with the National Autism Association, www.awaare.org offers a variety of toolkits geared toward wandering-related emergencies.